The work of 26 Australian designers is currently on show in Milan, the largest independent showcase of Australian design in Milan to date. Curated by the Local Design founder Emma Elizabeth, the Local Milan No. 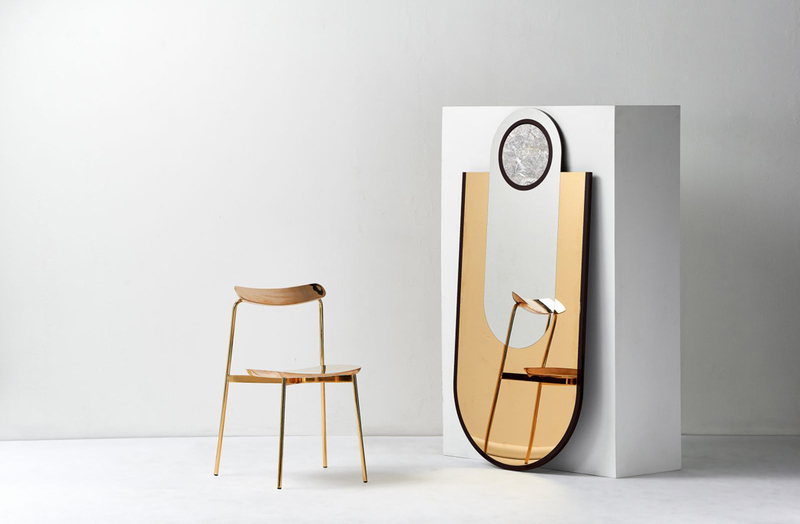 3, aims to advance awareness and understanding of Australian design amongst a global audience. Participating designers include Tom Fereday, IDEA 2018 judge Christopher Boots, Adam Goodrum, Henry Wilson and Daniel Emma. Take a look at their pieces below. Working with local artisans in Sydney the chairs have been hand made and forged from solid aluminium and bronze to re-interpret the minimal slender form. Christopher Boots presents a series of light fixtures finished in verdigris, like the surfaces of patinated and sea-weathered monuments. The Bloom cabinet by industrial designer Adam Goodrum and marquetry artisan Arthur Seigneur is inspired by the form of a lotus in full bloom. The piece is made with individual stems of imported and hand-tinted French rye straw. Henry Wilson’s new series of uplights and wall lights in bronze and stone, further the designers’ aesthetic and product collection. In a second interpretation of Bling Bling Dynasty, Daniel Emma shows a collection of objects full of colour and memories, inspired by travels to Hong Kong and Japan. What is the Australian design aesthetic?